Sonya Venable Truelove passed away at the age of 78 on Monday, January 1, 2018, at Franklin Foundation Hospital following a brief battle with cancer. Sonya was a native of Vidalia and a longtime resident of Charenton. She was a longtime employee of Cypress Bayou Casino where she enjoyed being with her co-workers and customers. She retired in 2010 after 22 years of dedicated service. 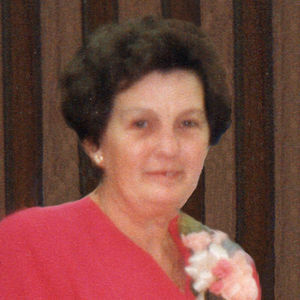 Those she leaves to cherish her memory include her children, Charles Truelove, Michael Truelove, David Truelove, and Debbie Truelove and her companion Jeff Sword; one sister, Cathy Robbins; five grandchildren, Krissi Grice and her husband Corey, Brandon Truelove, Katie Vilcan, Amanda Vilcan, and Olivia Sword; five great grandchildren, Kandis Truelove Ashlock and her husband Dacota, Kaitlyn Truelove, Chase Grice, Devon Truelove, and Brock Mello; as well as numerous nieces, nephews, family members, and friends. She was preceded in death by her husband, Robert Lee Truelove; one son, Thomas Dean Truelove; her parents, Isaac Jackson Venable and Beulah Irene Dalton Venable; and five siblings, Dorothy Jones, Jack Venable, James "Jim" Venable, Dennis Venable, and Linda Burgess. Memorial services will be held at Little Pass Baptist Church in Charenton on Thursday, January 4, 2018, at 1:00 p.m., with a gathering of family and friends beginning at 10:00 a.m. Private inurnment will be held at a later date in Perpetual Park Cemetery in Franklin, where she will be laid to rest with her husband. My thoughts and are with your family. May God bless you with sweet memories of Sonya. Prayers for Sonyas'Family During Their Time of Loss. So sorry for y'all loss my deepest condolences. Sorry for the family's loss. Specifically, Debbie. Offering our deepest condolences and prayers to you and your family during this difficult time. May Ms. Sonya rest in God's eternal peace and may our Lord Jesus Christ console your hearts as only He can.